Last Thursday, Seth Macfarlane and Emma Stone got us movie buffs up at 5:38am to watch the live announcement of the major Oscar category nominations. This is the video below. Every year, I look forward to the Oscars. I get excited to see who wins and who didn’t [which is called an upset by us film fanatics]. I’ve not seen a lot of of the movies so far, so I best get to it so I can appreciate the winners and nominees. So far, I’ve seen Moonrise Kingdom, Django Unchained, Wreck-It Ralph and The Master, all really great films that have at least one nomination. 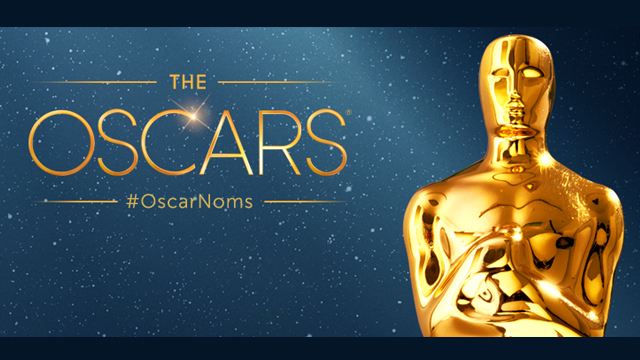 Here is the complete list of nominees for this year’s Oscars. The live broadcast show is February 24, 2013 on ABC. This is the official site for the Oscars. Let the excitement begin. Who else looks forward to the Oscars? Who gives them a pass and couldn’t be interested in who wins? I do look forward to them, but am really behind this year! I have not seen many of the nominated films! As I mentioned above, I need to see more of these films. The one’s I’ve seen so far have been great. So disappointed Leonardo Di Caprio didn’t win for Django Unchained. But I love Ann Hathaway for Les Miserables. Such remarkable performance. And the movie adaption was very good also. Yes, his performance in Django was great. A very leading role getting ignored for both the Oscars and Golden Globes.